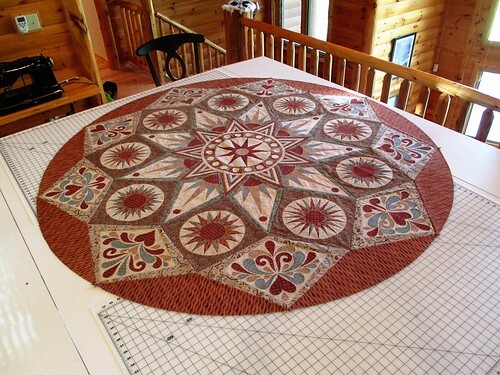 With the addition of the red insets, the quilt top became a circle! This entry was posted in Sedona Star. Bookmark the permalink. Your quit is so gorgeous!!! I can’t wait to see the geese circling it.